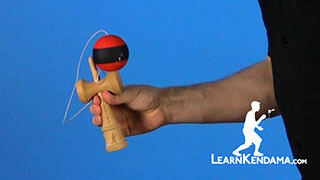 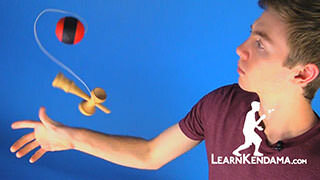 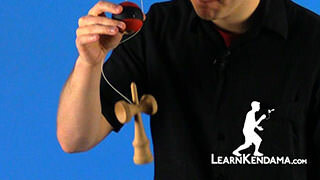 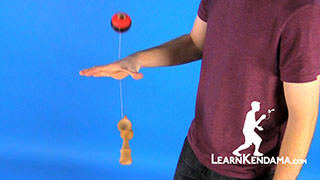 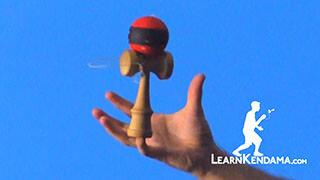 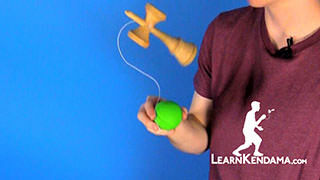 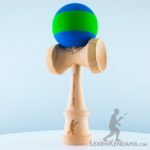 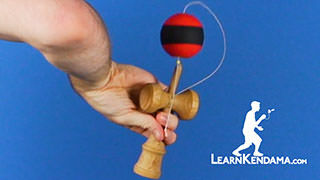 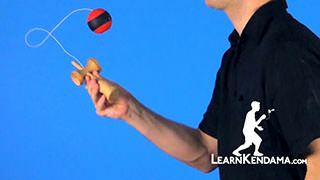 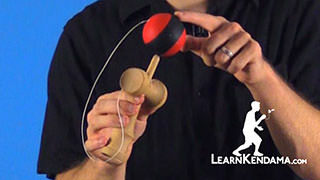 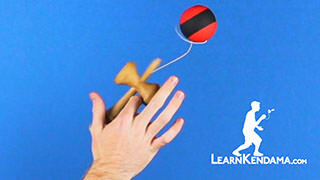 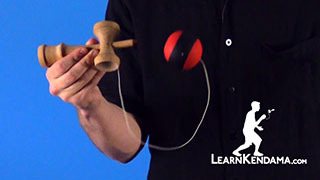 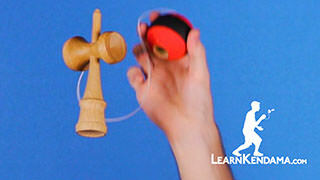 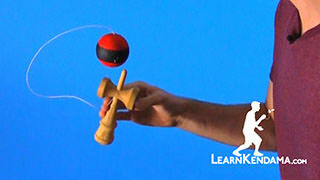 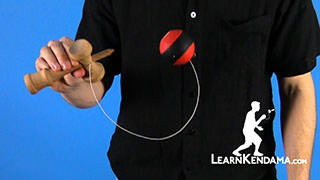 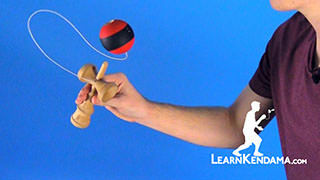 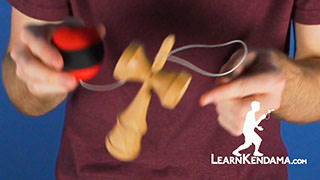 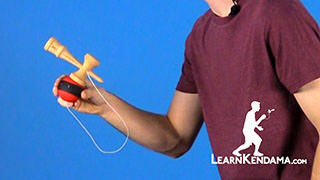 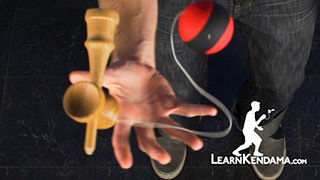 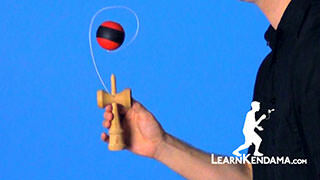 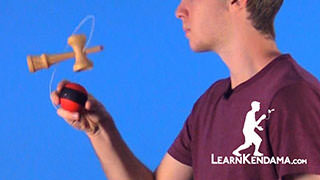 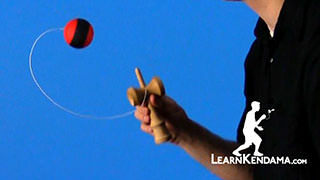 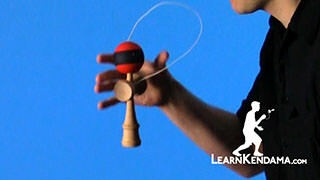 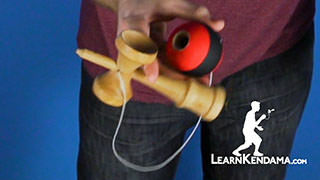 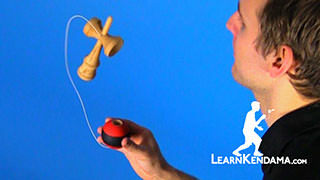 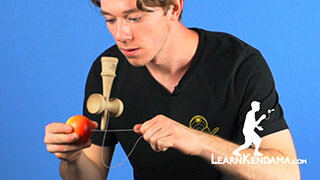 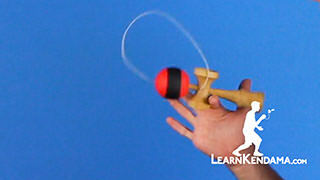 Learn the kendama trick Pull Spike. 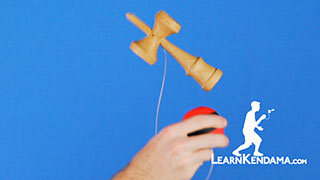 Pull Spike Kendama TrickThis trick is the Pull Spike, it looks like this. 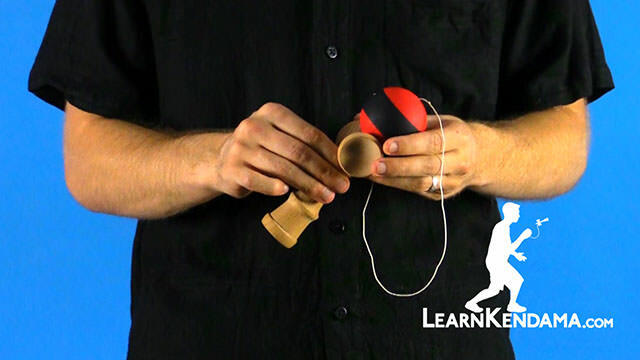 Now this is the first spike that you’re going to learn and it’s the easiest one to learn. 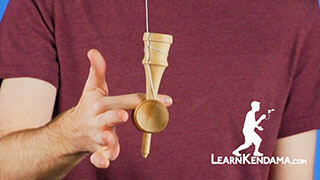 You’re going to start by letting the tama hang down and you’re going to hold the ken in the standard Ken Grip. 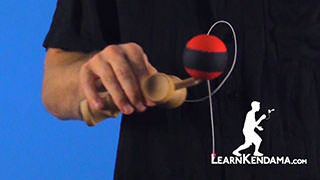 The first thing that you’re going to do is you’re going to make sure that you’re using your knees, and you’re going to pull the tama up and you want to make sure you get it just above where the ken is. 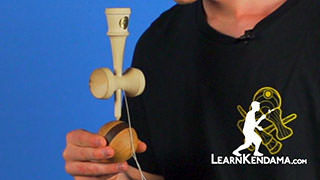 Then you’re going to slide the tama underneath, have the tama land on top of it and that’s the trick. 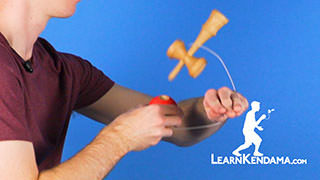 But there’s three tips in particular that are going to make this trick easier. 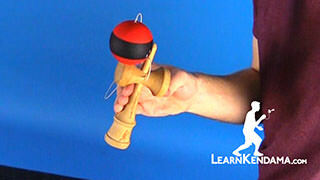 The first tip is that you want to make sure that you stead the ball. 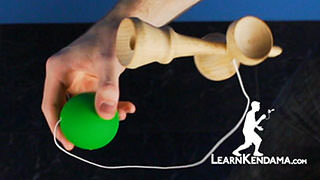 If you get the ball hanging down and it’s moving the tricks going to be a lot hard, so just steady it. 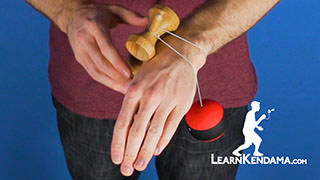 The second tip is that you want to make sure that you’re using just your knees to lift the tama. 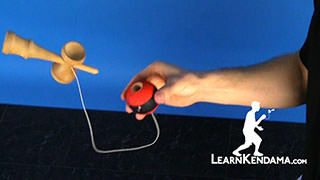 If you move your hand at all you’ll notice that the hole will start moving in all different directions and that will make catching it really difficult. 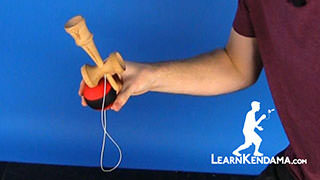 And the third thing is that you want to make sure that you use your knees, both in the initial lifting of the tama, as well as, the catching to cushion it. 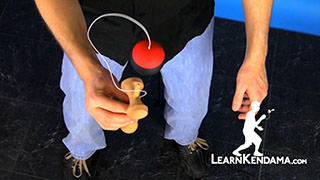 When you put all those things together: you bend down, keep the hole of the ball pointed straight down, and use your knees to cushion it. 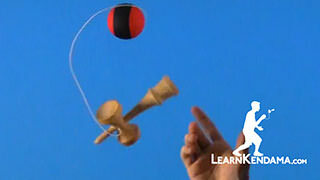 And that’s the whole trick. 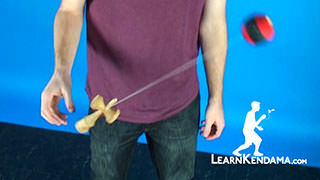 And that is the Pull Spike.